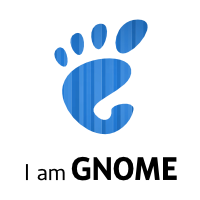 You will likely be flooded with mentions of GNOME 3 if you follow Planet GNOME, but still I cannot but add to it. I am proud and happy to have been part of the effort to release GNOME 3. Thanks goes out to everyone involved – mccann, thos, mclasen, hadess, hbons, aday, andreasn, vdepizzol, vuntz, fmuellner, halfline, owen and jclinton*, but especially my Italian amico Lapo, who’s done so much to the project to very little credit. We would not be here without you!